On this frigid Presidents Day, I decided to take a visit to the Old House At Peace Field, the retirement home of John and Abigail Adams as well as John Quincy Adams, when Presidents were really Presidents. The Adams’ and their future generations would call this home until 1927. The Stone Library located adjacent to the Adams House. The house is much prettier during the spring and summer. Flowers of a wide spectrum of colors adorn the walkway and throughout the estate. It is closed to the public until spring time. But the front gate was open, as though they were expecting me. 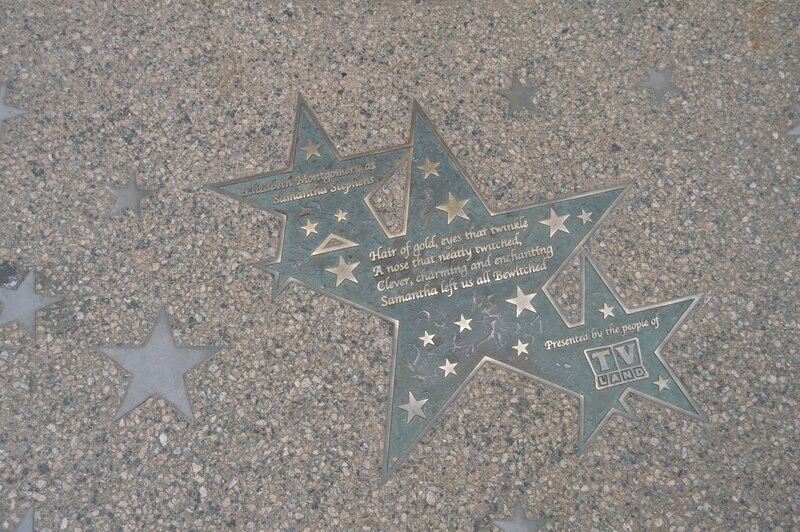 Further down the road on Hancock Street, in front of City Hall, stands John Adams. 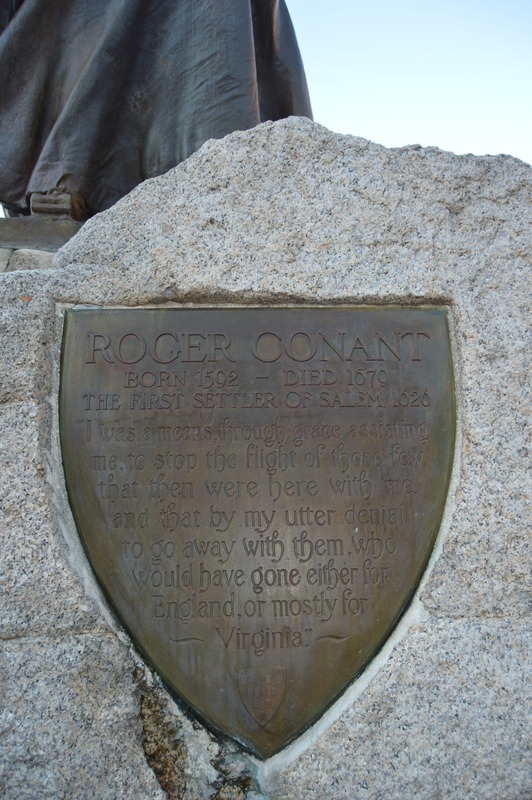 I was wondering why he was looking off into the distance (wary of the British perhaps?). 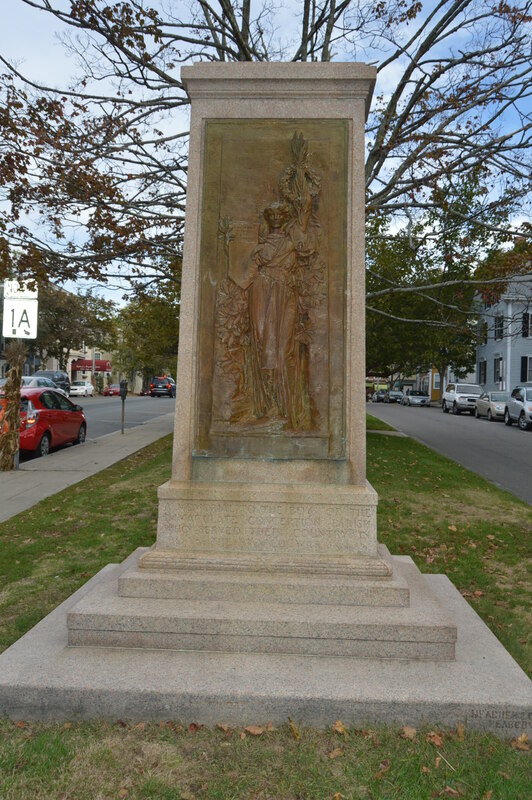 Then, I noticed a statue of Abigail and little John Quincy Adams was situated across the street. 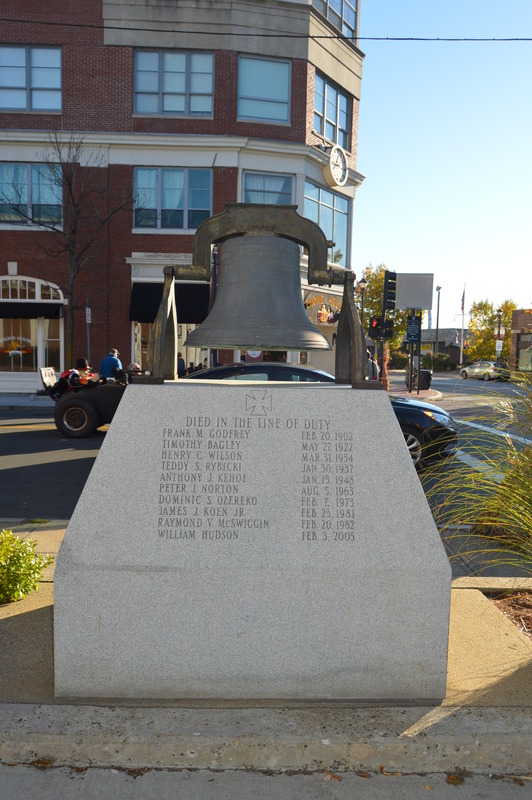 Both of the Adams’ are buried in the United First Parish Church, located directly across from City Hall and, inconveniently for the drivers of Quincy, in the middle of the busy roadway. It is also the church I almost got into a fight at as a child until the other kid said he, “didn’t fight in churches” pffft. Oh, the memories. There are other Adams’ residences and historical places, such as his original birthplace, also in Quincy, MA, that I will cover in later posts. 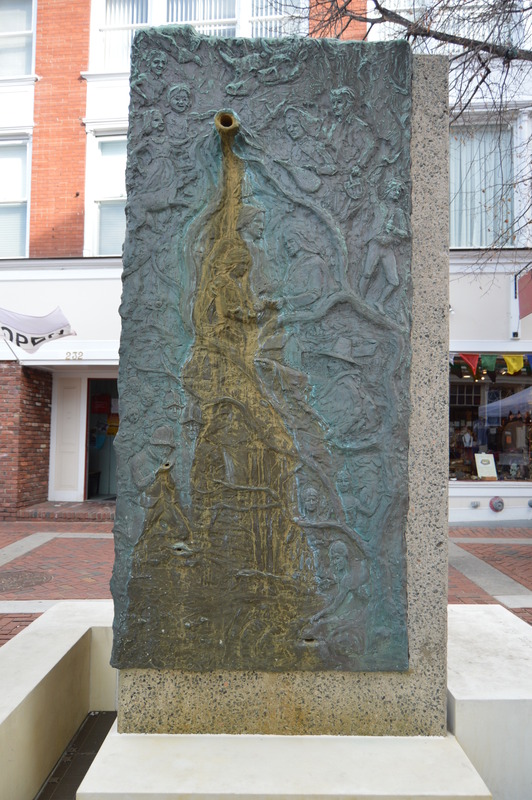 Salem, MA and the people of Salem are known for more than just the well publicized witch hysteria. 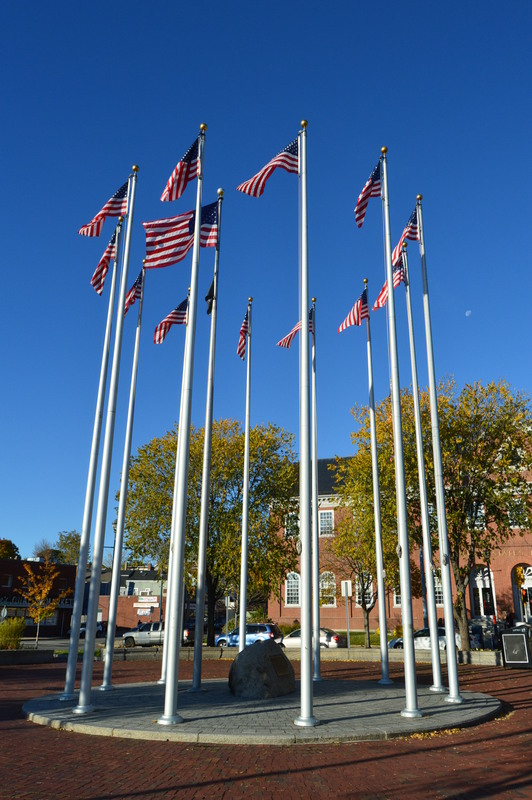 While the city remembers this somber time with memorials, they also have other monuments, statues and other decorations, particularly during the Halloween season. 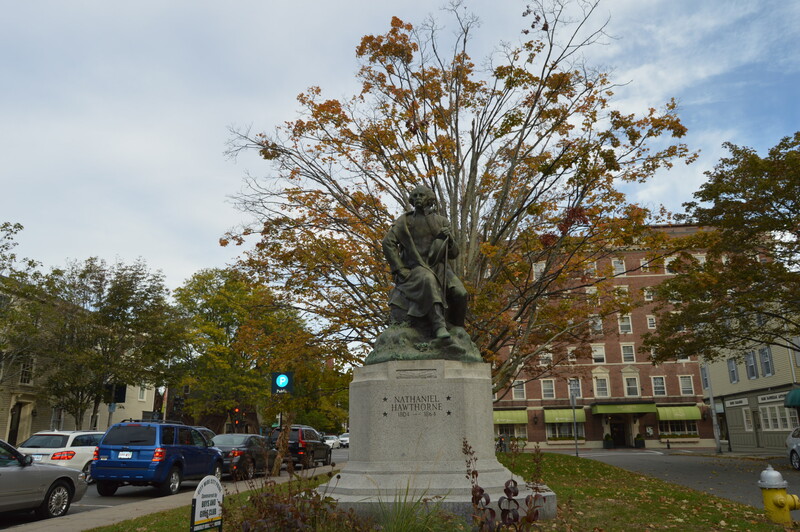 This is probably the most recognized statue in Salem. 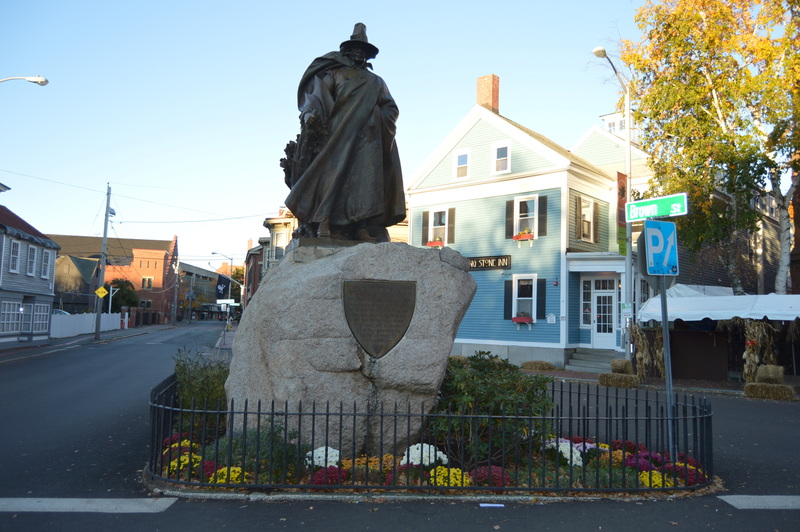 It is the statue of Roger Conant, the founder of Salem. 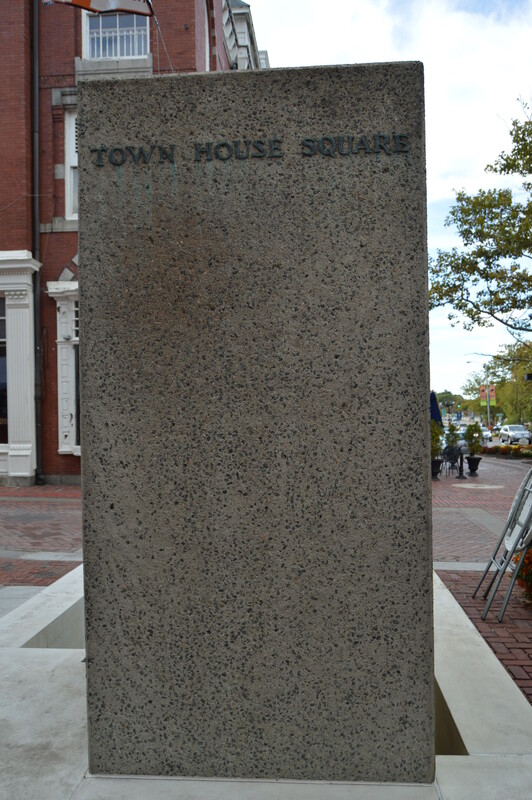 Because of the dark, foreboding image of the statue and the fact that it is located directly in front of the Salem Witch Museum, it is often at first glance considered a monument in tribute to the victims of the witch hysteria. That was my thoughts when I first saw it as a younger person. As an fyi, it is very hard to take a photo of the statue without throngs of crowds nearby doing the same thing, often times ruining your photo. I had to arrive very early Halloween day to get this photo without a lot of people or car traffic. It is a very popular stop for tourists. 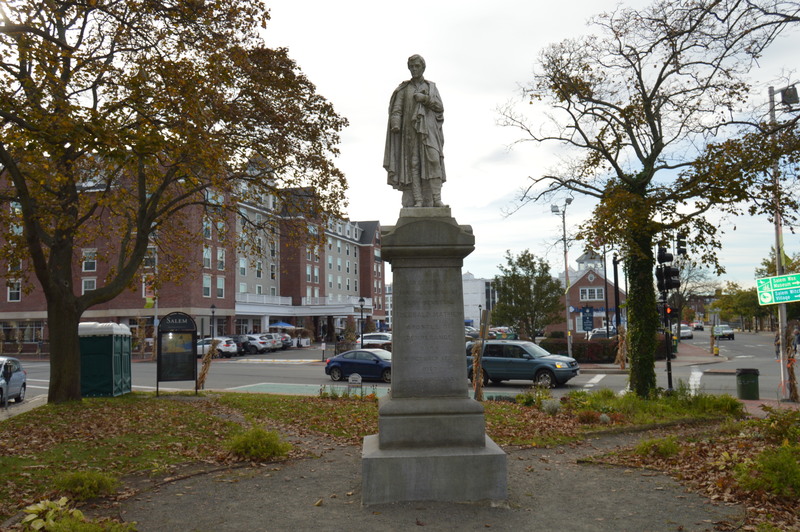 While we’re all familiar with people like Nathaniel Hawthorne, there are other people who were pivotal members of Salem that are less noted than Hawthorne like the reverend Theobald Mathew, an apostle of temperance, according to the script on the statue. Even if you’re not familiar with people like Mathew, the artwork and of the statues is enough to impress anyone. 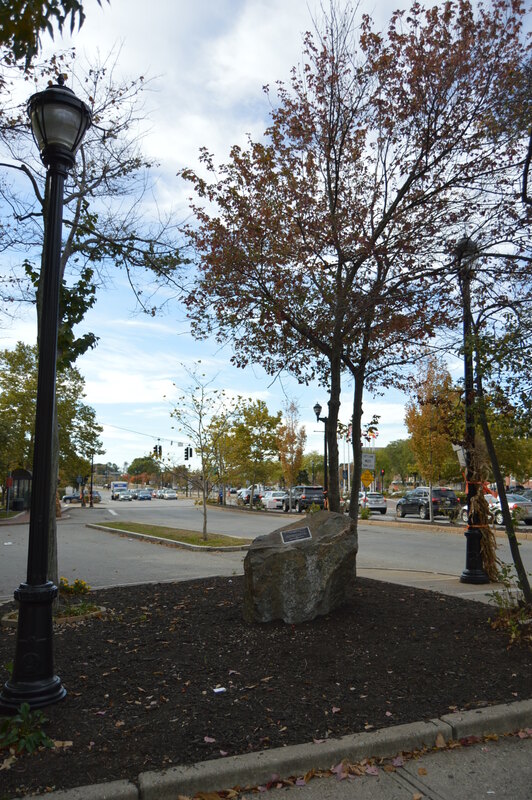 Speaking of Hawthorne, just farther down the road on, you guessed it, Hawthorne Boulevard is the Nathaniel Hawthorne statue. 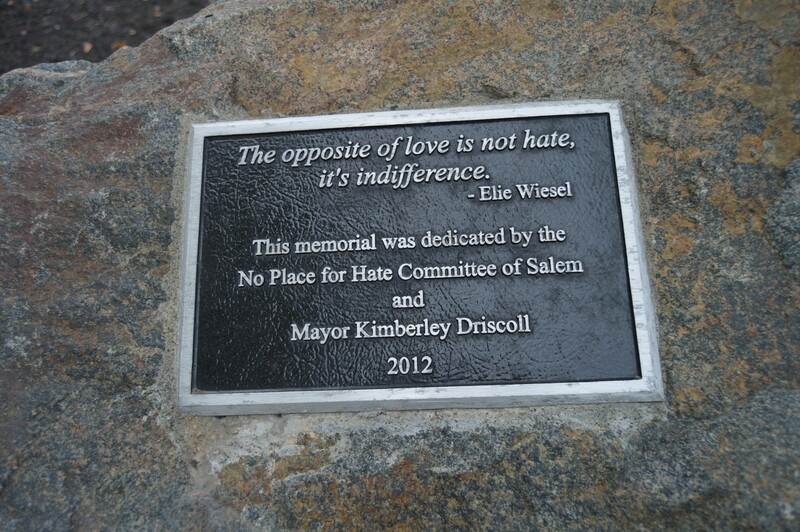 One of the things you have to love about Salem is they don’t try to sweep the past under the rug and they try to educate others about tolerance. 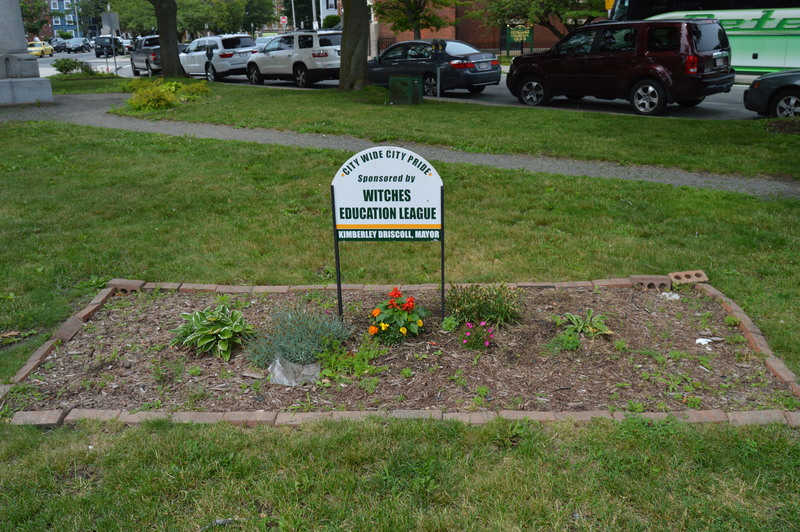 This sign for the Witches Education League is an example of this. 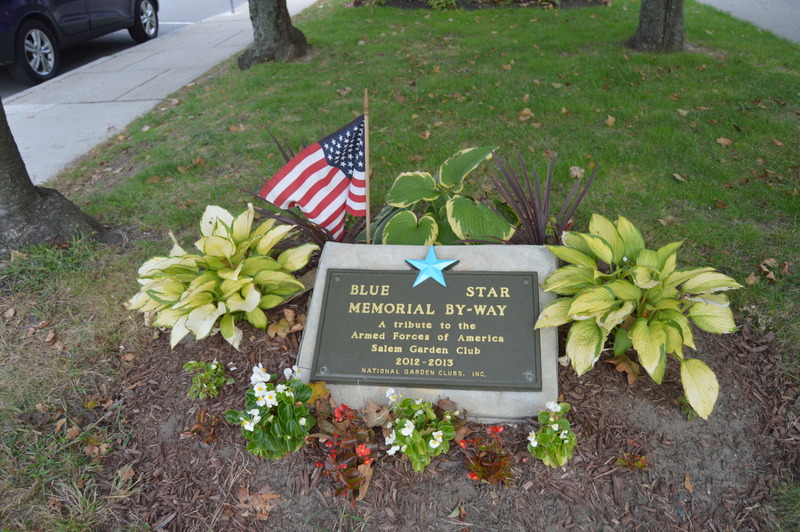 There is also a memorial to the The Blue Star Memorial Program which is dedicated to all of the men and women who serve in the United States armed services. 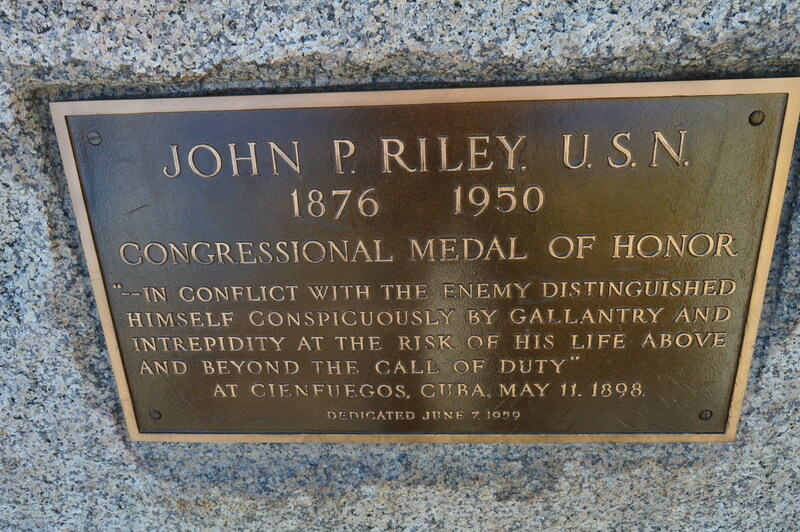 Salem has another memorial dedicated to a Congressional Medal of Honor recipient, John Phillip Riley. 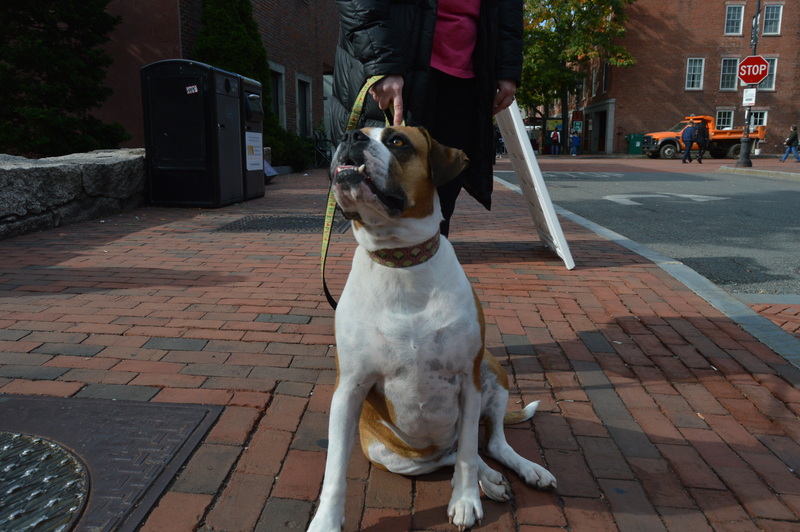 Riley is one of 5 Medal of Honor recipients from Salem, dating back to the Civil War. 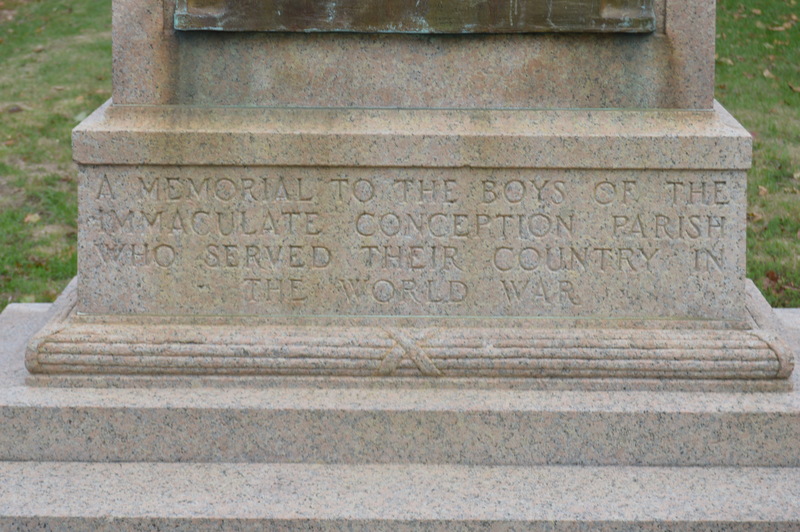 This memorial is dedicated to the Boys of the Immaculate Conception who served during World War I. 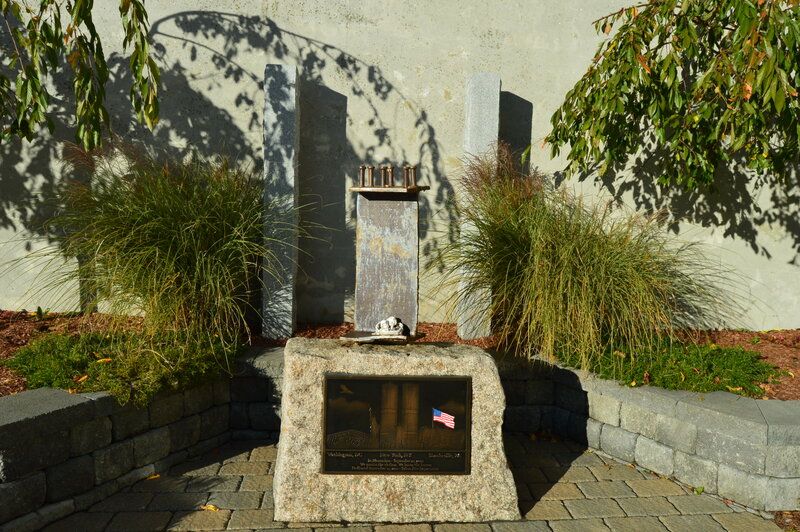 The Salem Fire Department has two memorials at their Ladder 2 station. One memorial is a memorial to the victims of September 11.The metal in the middle of the monument is from the rubble at Ground Zero. The two concrete beams in the background represent the North and South towers at the World Trade Center. 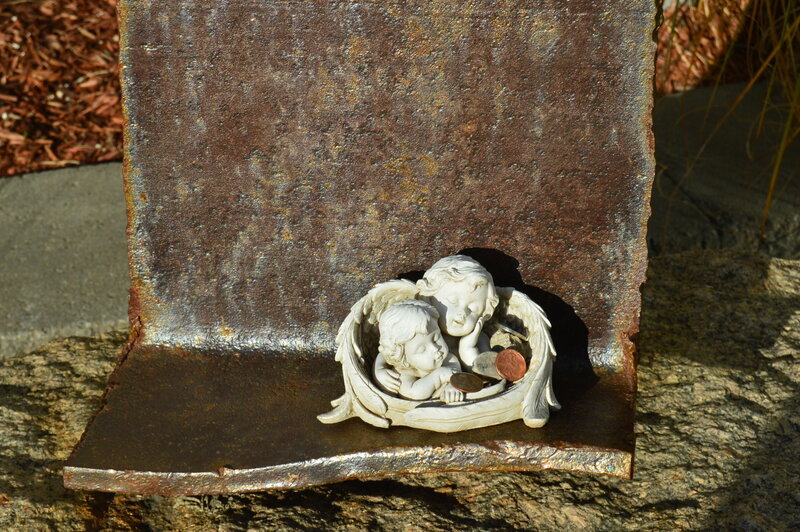 There are two ceramic angels in a cup placed on the memorial. People leave pennies in honor of the victims. 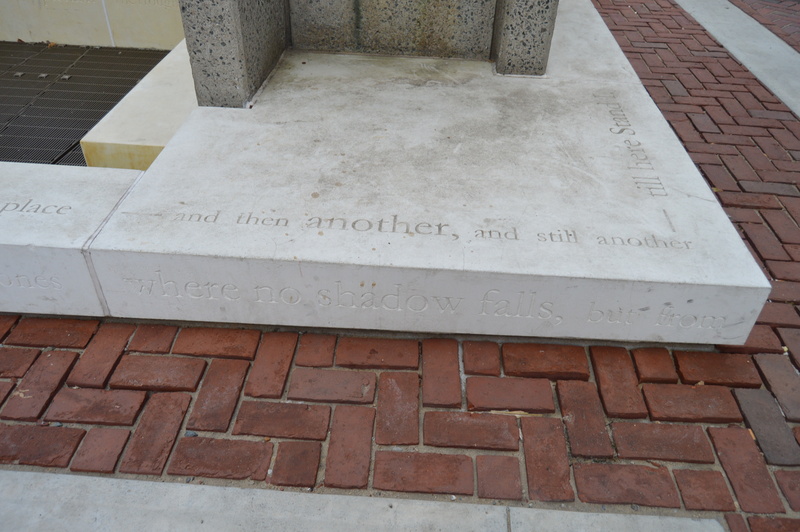 Closer to the heart of the city, there is also a monument with a quote from Eli Wiesel. 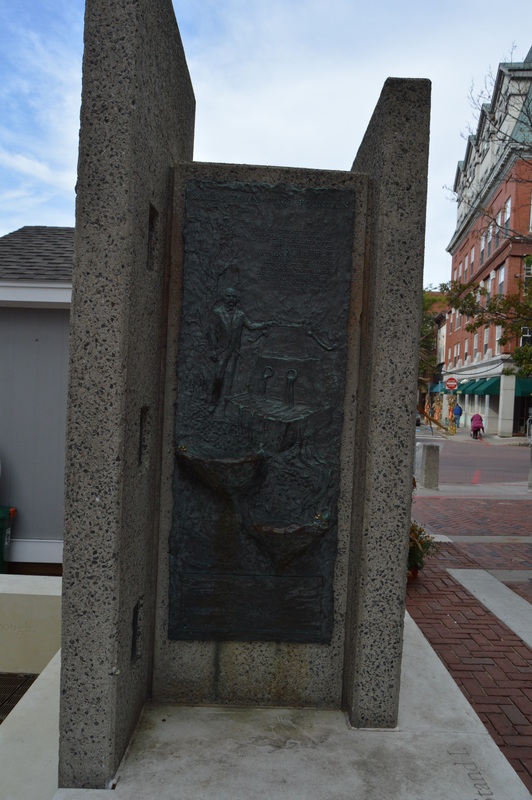 During the Halloween festivities, the original water pump was displayed in the main drag of the walk way on Essex Street. 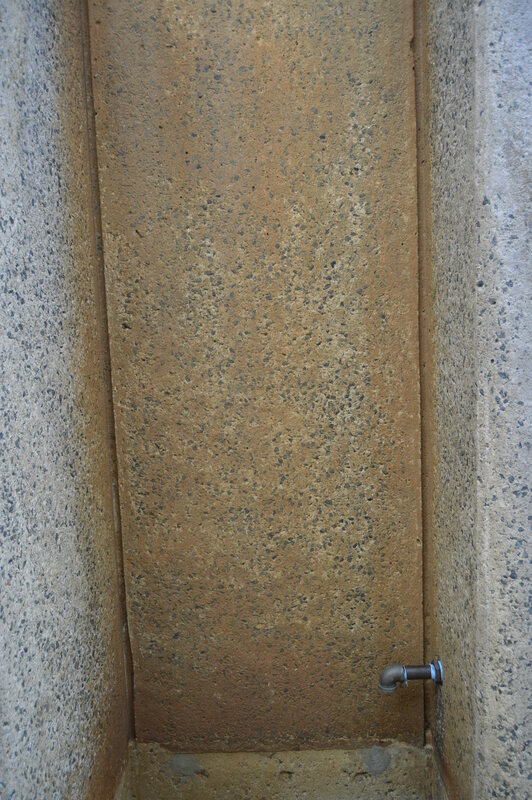 This is the original pump the people of salem had to use before they had indoor plumbing and other amenities we take for granted. Some of the monuments, statues and signs are more lighthearted like the Bewitched statue in Lappin Park. 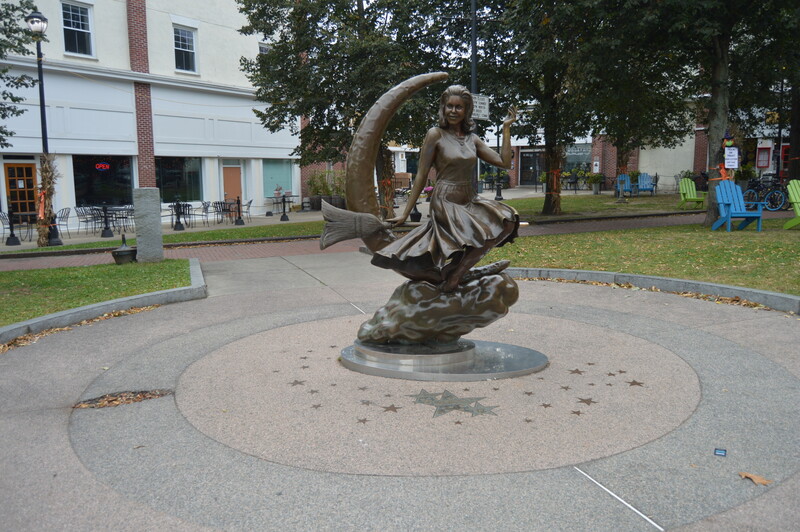 Little known fact: some of the Bewitched shows were filmed in Salem, MA. 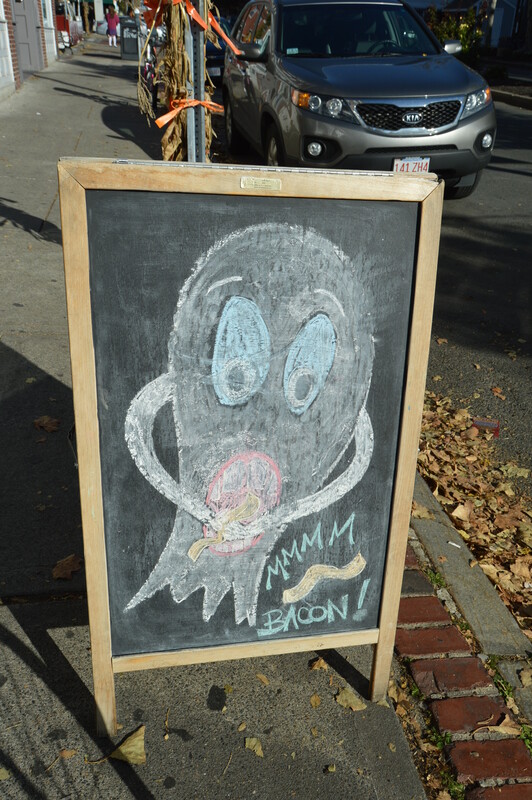 This placard reminds us that even ghosts like bacon. 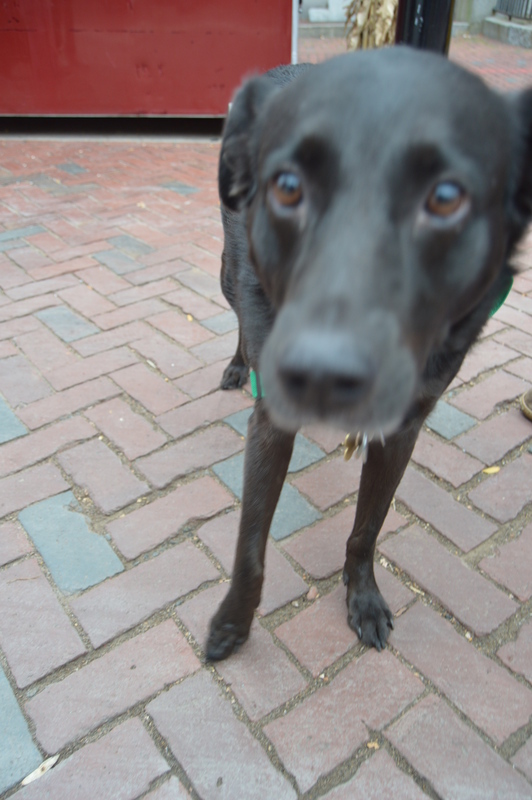 I also met some very cute dogs during my travels. And Harley. Harley didn’t like my camera. 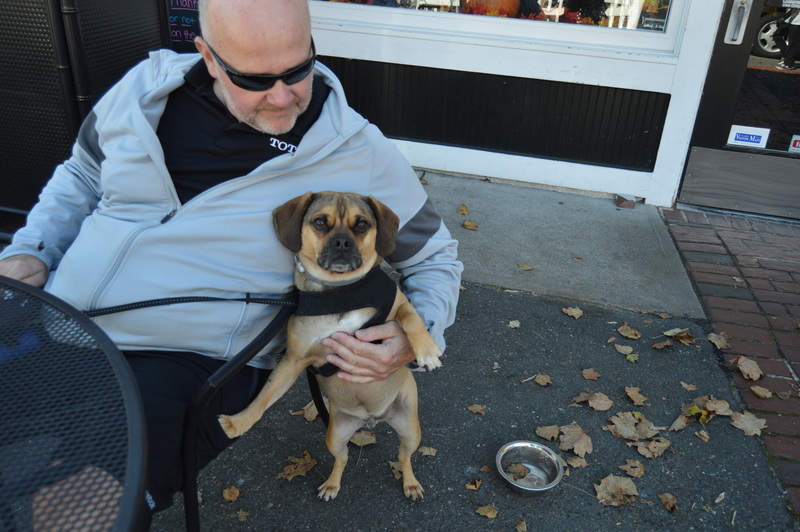 But, he felt safe when he was with his dad. 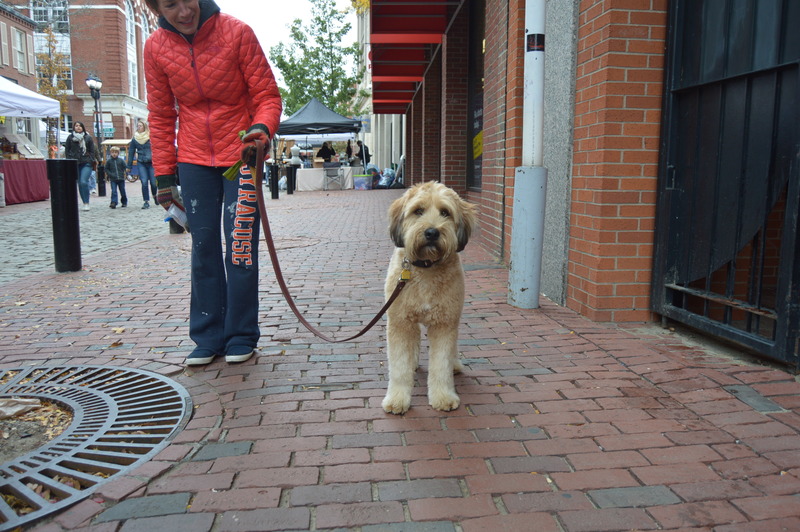 and this cute fella whose name I didn’t get. 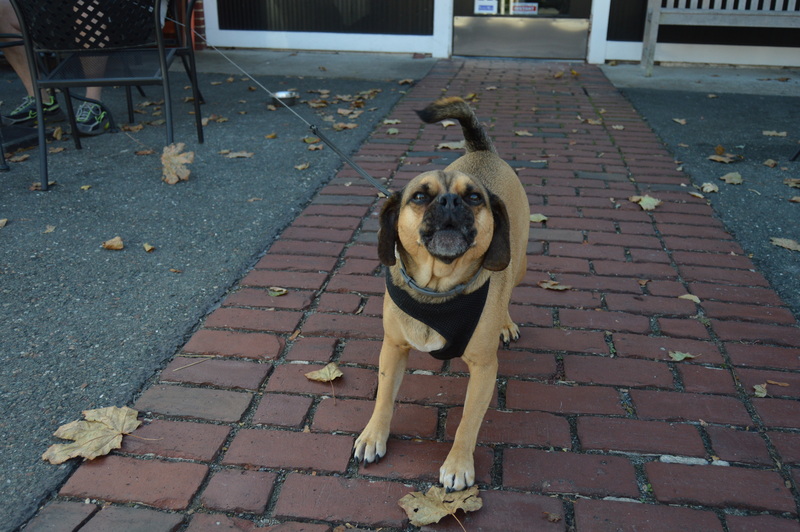 As these monuments, statues, memorials, signs and dogs have shown, there is more to Salem than just the Halloween festivities. My next blog will deal with the impressive architecture of the homes, museums and other buildings of the Salem area from my recent visits.